Update 11/11/18: Auto Kennel has dropped the asking price from $109,990 to $99,990. We have service receipts and ownership records dating back to 1998/100,000km where it was owned by a couple living in Kent, England. This couple serviced the car at their local BMW dealer. We also have copies of their M.O.T. inspections until they sold the car to an enthusiast in Okinawa, Japan in 2003 with 117,300km. Unlike many of these homologated specials, this Sport Evo was driven, enjoyed, and well-maintained. It didnâ€™t sit dormant in a garage yet, it wasnâ€™t tracked or abused. The whole car looks more like a sub 50k-mile example. The paint looks very nice with minimal signs of use. There are no major flaws, scratches, or dents. The glass is correct and has no cracks or major chips either. The wheels are in great shape with no curb rash and are wearing older Bridgestone Potenza tires with about 1/3rd life. The brakes have 75% life. All the exterior lights work. The interior is equally as nice and mostly original. 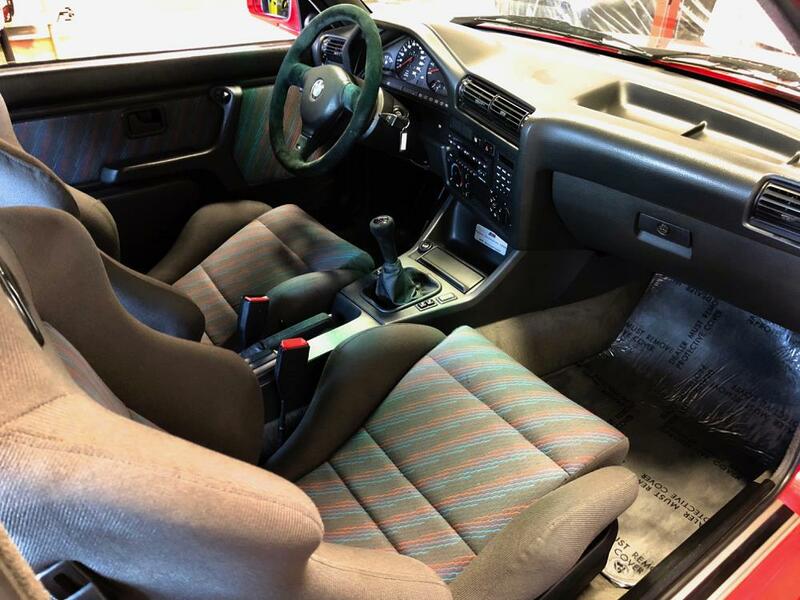 The seats are wearing their original motorsport fabric inserts and show no stains or wear. The driver exit bolster was reupholstered due to normal wear. It matches the rest of the factory fabric. There are no tears. The headliner is original and is not sagging or torn. The door panels and carpet all look fresh. The dash has no cracks or warping. It has a slight round discoloration spot on the top (see pic). The gauges appear to work properly as does the power sunroof. The clock/trip computer display is out and needs a new bulb. A later U.S. BMW factory CD player has been installed and it works. The A/C system was inspected and appears to be in good condition. The system will be serviced and recharged before delivery to the next owner. 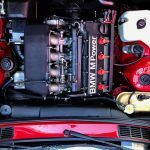 The engine bay, trunk, and chassis are all in very good condition (considering the miles) with no major signs of abuse, damage, or rust. The normal trunk spots (ie spare tire well, battery area, and jack area) all appear dry with no rust. The spare appears to be unused and wearing its original Michelin tire. The chassis looks good with just some slight wear at the front jack points (typical). There are a couple small areas of engine oil weeping at the timing chain cover and front tensioner. There is also some slight coolant moisture at the thermostat. All are minor and not critical for attention, just monitoring. The stock exhaust tube from the engine to the muffler has some usual surface corrosion but no holes. This Evo III appears to be completely stock with the exception of an ARQRY muffler, rear strut brace, and Shirai lightweight/larger capacity alloy air intake accumulator. With the turn of the key, you quickly realize that this is no water-downed U.S./EPA variant, but rather what BMW Motorsports always intended this car to be for the consumers. It has a nice low end growl. Itâ€™s a bit cold blooded and although will start on the first try, needs some time to warm up. It pulls nicely as you wind the motor out past 4k rpm. The shifter feels precise with no slipping or grinding. The clutch engages easily and has a very nice positive engagement to it. The brakes have excellent initial bite with no fading. And, of course, handling is its strong suit. Turn in is incredibly precise and the whole chassis has a wonderful balanced feel to it. This example is mostly non-modified and would be welcome on any show lawn. However, itâ€™s not so much of a garage queen that you canâ€™t have some guilt free touring in the canyons or on vintage driving events. Plus, whenâ€™s the last time you saw a true Sport Evolution driving down the road. It is truly a unique and rare specimen that is a car guy/galâ€™s car. 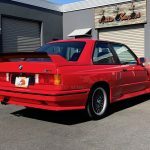 This M3 comes with extensive service records going back 20-years, one-key, original spare tire/wheel, tool kit, emergency triangle, and jack/lug wrench tool. *Note: Many of the receipts were translated from Japanese and we did our best using google tools and friends who speak Japanese to translate repairs. **Note: VIN and other numbers withheld to protect against fraud. All numbers including VIN, Engine, and color will be provided to serious buyers. 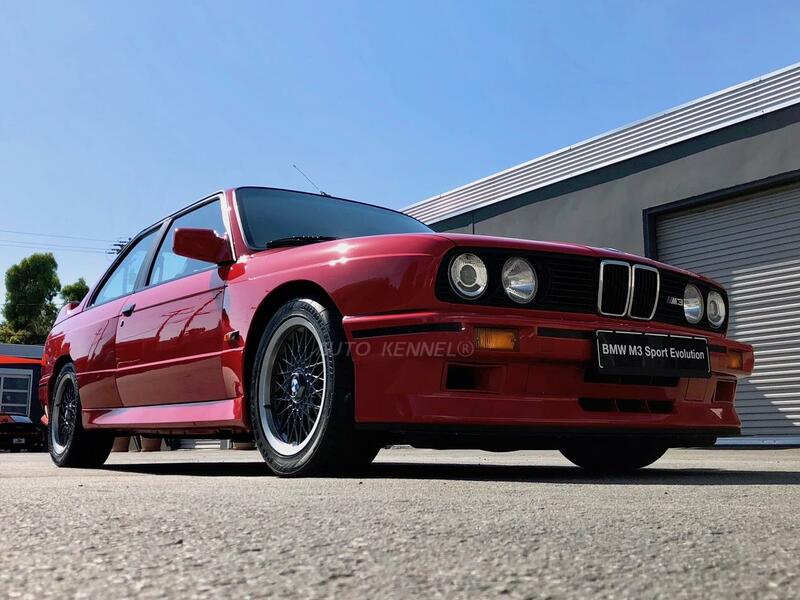 Auto Kennel’s presentations never fail to disappoint, and the great description and detailed photos depict a great condition collectable M3. 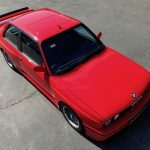 At this point the price shouldn’t really shock you; normal U.S.-spec cars with low mileage have traded in this territory recently, so a documented Sport Evolution in original condition would certainly be up there too. 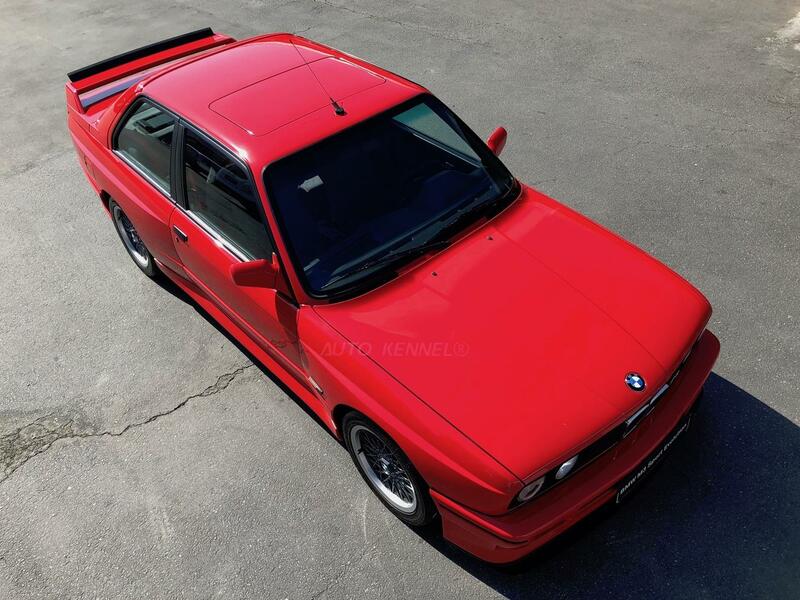 More to the point, it’s only around 50% of the asking price of the 190E Andrew saw. 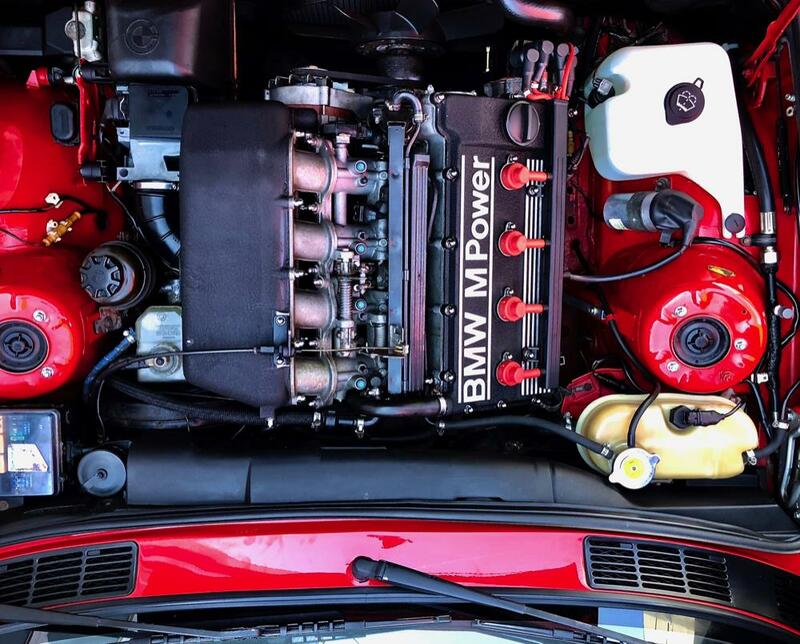 The documentation covers an engine rebuild – the very expensive undertaking on the S14 – along with normal maintenance, and while the base Sport was devoid of all luxury, this example had options like power windows, a sunroof and air conditioning installed – basically it’s a full option Sport. For a car that will stop crowds when you appear, the special nature of the Sport Evolution is hard to beat in today’s market and this one certainly looks the part. 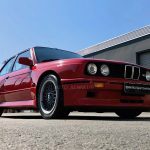 Tagged 1990, 2.5, BBS, boxflares, Brilliant Red, Brilliantrot, DTM, e30, Evolution III, homlogation, legend, m3, Nogaro, Recaro, S14, Special, sport evolution. Thx for the feature. Also, the exterior was stripped to the bare metal, glass and engine out repaint by BMW about 50k miles ago. Suspension was also done. Basically everything was restored except the interior. A comment on Facebook notes that the front fenders are not wider, but that the cutout for the wheel is slightly larger. There is apparently documentation of this from BMW’s original sales literature. Also, the measurement of the fuel tank size depends on which you are judging from, as the stock U.S. size was 55L, the SE was 62L, and the Euro long-range tank was 70L. Thanks to Paul for the corrections. 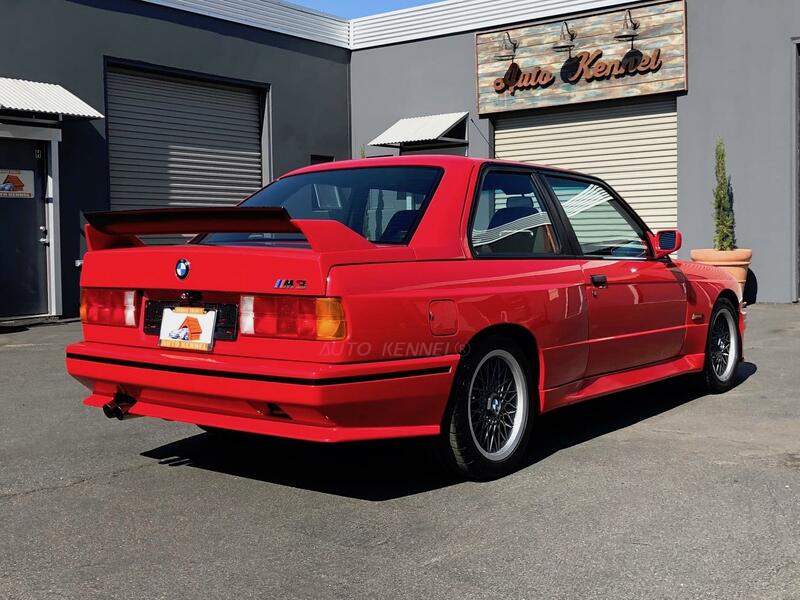 I love the nice color here, http://www.stableltd.com/index.php?option=com_expautospro&view=expdetail&id=670&catid=89&makeid=158&modelid=0&Itemid=130 about 1/2 the miles but a big pricing premium with no records mentioned.